The fair features everything necessary to grow your own greens. 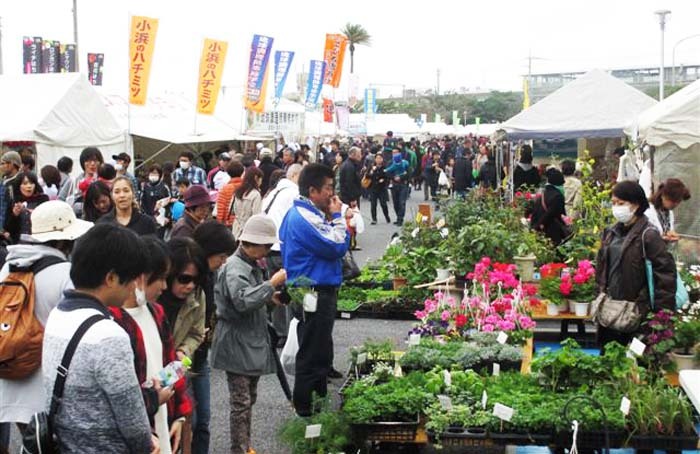 Okinawa Flower and Food Festival is an annual event featuring local farmers’ markets and Okinawa-grown fresh and high-quality locally produced agricultural, forestry and marine products, including flowers, vegetables, livestock, fishery products and processed foods. The festival takes place next weekend at Onoyama Park in Naha. The fair fills Onoyama Park. The theme of the event is “Local Production for Local Consumption” and more than 160 stores and companies are scheduled to participate. The festival introduces goods through exhibitions, competitive shows and contests, food samples and spot sales. 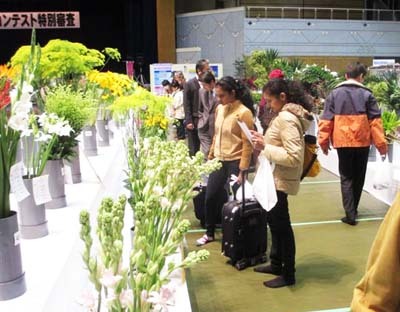 Experience and exhibition corners are set up at the venue where visitors will be able to see, touch and taste Okinawa’s processed foods, agricultural and fishery products and flowers, all produced locally within the prefecture. Awards presented at the competitive show during the event recognize the biggest and best of flowers and vegetables. There are also several novelty products that their makers are introducing to the public for the fist time in order to gauge the reaction of the consumers. For example, Nanto Shuzo Distillery Co., best known for its “Habu Sake” is introducing their newest creation for the adventurous, the “Snake Highball” drink that is aiming to capitalize on the current popularity of the traditional whisky-based “Highball” cocktails. Other novelty products include “Tebichi Karaage” fried pig leg, and several new variations using local Okinawan vegetables and Okinawa Soba, fish, meat, fruit and more. Experience booths offer lessons in flower arrangement and a music performance by local elementary school children and a hero show provide entertainment on both days. 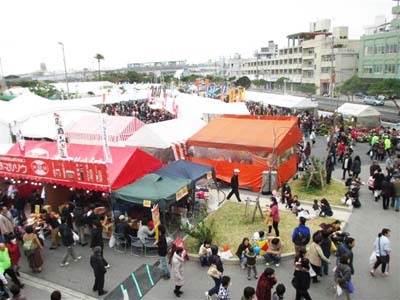 The festival takes place Feb. 6th and 7th from 10:00 to 18:00 at Onoyama Park in Naha, at 52, Onoyama-cho, Naha City. Admission to the festival is free. Parking is available at a nearby Naha Military Port from where free shuttle buses run to the venue from 9:00 to 15:00 p.m. about every 15 to 20 minutes. MCCS Tours+ is arranging a tour to the Okinawa Flower & Food Festival on Sunday, Feb. 7th, from 9:30 to 14:30. The visit to the annual festival costs $20 for adults and $13 for kids 3~11. Toddlers two and under are free. Make reservations with MCCS Tours & Travel.